KFC Canada is offering customers a chance to win Sanders’ Little Helper. A new holiday promotion from KFC Canada is destined to make fans of the brand’s iconic mascot Colonel Sanders smile. 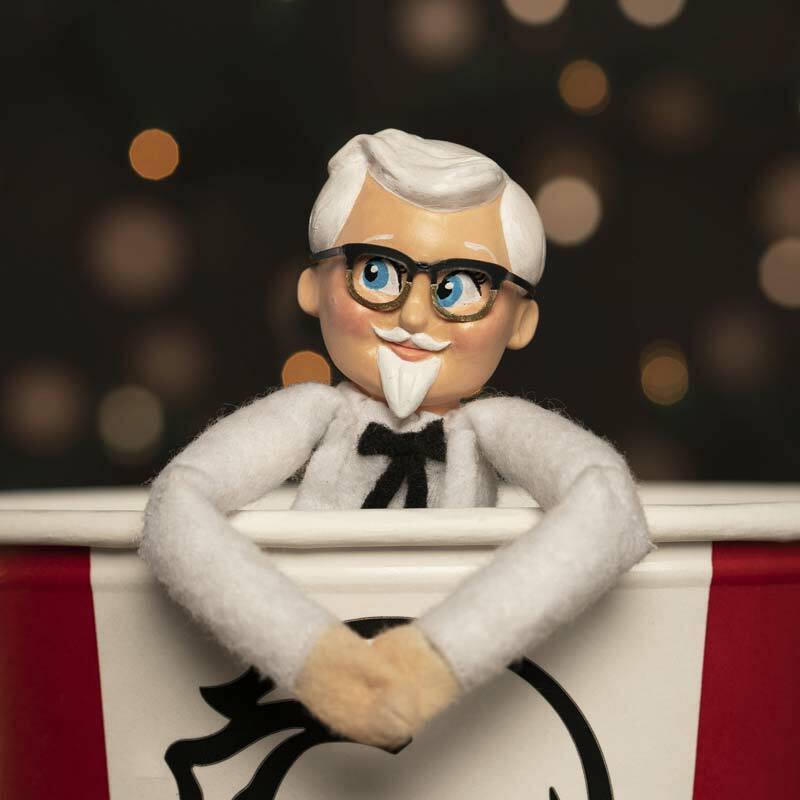 The food-service franchise system, which has more than 600 locations across Canada, is offering customers the chance to win Sanders’ Little Helper, a pint-sized Elf on the Shelf-style doll, designed in the likeness of company founder Colonel Harland Sanders. “Sanders’ Little Helper is a twist on a classic holiday tradition, and we think our customers will have some real fun with him this season,” said chief marketing officer Samantha Redman. For a chance to win the figure, along with a $150 KFC gift card, customers are invited to leave a comment on the brand’s social media pages. Sign-up for your account with Canadian Business Franchise. Your account gives you unlimited free access to our Newsletter Archives and our Digital Editions of Canadian Business Franchise. Please check the box below to confirm you would like to be added to Kenilworth Media’s various e-mail communications (includes e-newsletters, a survey now and then, and offers regarding the franchise industry*). Dare to dream with informative and inspirational franchise industry news delivered right to your inbox. Please check the box below to confirm you would like to be added to Kenilworth Media’s various e-mail communications (includes e-newsletters, a survey now and then, and offers to the franchise industry*). Archive articles by creating a favourite list. Simply click on the star icon to add or remove items. See the last 30 items you have viewed on the site. View articles suggested just for you. Once you have read 3 features, we will start to curate articles just for you. Looking for 'My Account'? Login or register and it will appear in the top right-hand corner of your screen. Looking for 'My Account'? Login or register and find it under the burger icon in the left-hand corner of your screen. Looking for 'My Account'? Find it in the top right-hand corner of your screen. Looking for 'My Account'? Find it under the burger icon in the left-hand corner of your screen.